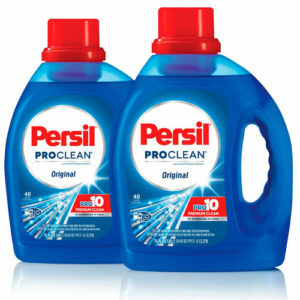 Save $2.00 Off ANY ONE (1) Persil ProClean Laundry Detergent. This a printable SmartSource coupon. Persil ProClean is a premium laundry detergent formulated with the strength to remove tough stains for a premium clean. Formulated with Pro10 Technology, it delivers 10 Dimensions of Clean to stand up to life’s messy moments.